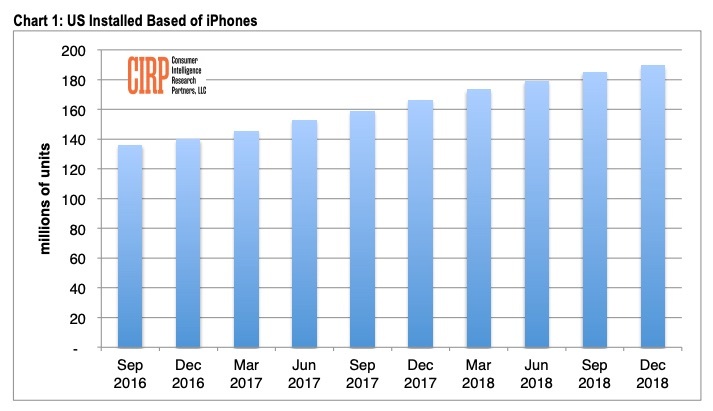 Consumer Intelligence Research Partners (CIRP) says Apple sold 62 million iPhones last quarter, bringing the iPhone U.S. installed base to 189 million units. CIRP based its estimate of the U.S. iPhone installed base on an estimated global sales of 62 million iPhones. That figure was derived from an estimated Average Selling Price (ASP) of $839 and Apple’s disclosed iPhone revenues. 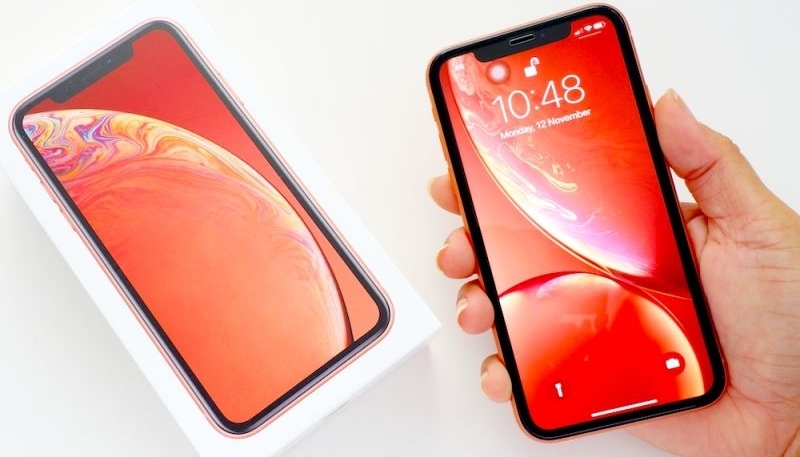 CIRP bases its findings on its survey of 500 US Apple customers, surveyed from December 31, 2018 – January 10, 2019 that purchased an iPhone, iPad, or Mac in the US in October-December 2018 period.